A Fun and Addicting Games! Do not let the "2" in the title fool you. While this is the second Golden Trails game, I do not believe there is much that actually links this title to the first game, other than the style of gameplay, which is a good thing. So, there is really no need to play the first game first, but if you like the gameplay in this title, definitely give the 1st one a go. 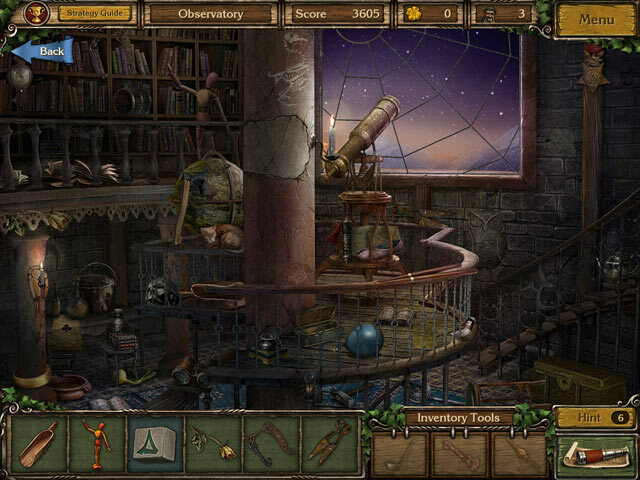 The hidden objects are challenging, not to the point of being frustrating. Most of the puzzles also provide a decent challenge. And shooting the bandits for the hints is a nice added bonus and fun factor. The art/visuals fits right in with the story line and the gameplay. I think each piece has been balanced quite well. I liked this game. I played it twice in a row because I wasn't paying attention to the clovers and finished without getting all of them (I was only missing one!). Most of the mini-games were very rewarding to play, some so-so but that is the way it goes with games. Not everyone will love all of the games. I liked most of them. The music was okay, not tedious and not an accordion within hearing. I give a game extra consideration if there is no accordion music. The background sounds were all right. They were game appropriate and not annoying in the least. The developer is to be congratulated. The bonus game and secret mission game were pretty fine. You definitely get your money's worth. I like leaving one scene and going to another to look for items that you need for the first scene. Watch out for those clovers and happy gaming! I played the entire game, plus the bonus, on the expert level. I rarely used the hint button, but did need the strategy guide a few times, which was built in, a great feature. I think I skipped one mini game only because it was the kind that I can't do and frustrates me so that I don't even attempt them. The ability to "win" access to unlimited playing of the HOS was a nice touch, but I didn't take advantage of it as by the time I was done with the game, I had no desire to replay them. In general, the HOS were pretty challenging and took some time to complete. You could also win trophies throughout the game, which also added a nice touch. I didn't get them all, but enough to be satisfied with my effort. The animated graphics in some places were really cute. These showed up when you were at the place where you had to move to another location. The screen shows the various places to move to, and the small animated graphics in these screens were fun to watch. The storyline was disappointing. It started out good, but became confused and seemed to end abruptly with a few things that didn't make any sense left hanging in the air. It almost seemed to me that maybe there was a deadline to get this game to market and the ending was rushed to meet this deadline. I was expecting more locations to open up, as they were shown on the location screen, but the game ended before they were explored. The extra chapter was OK, but was even more confusing and did not add anything to the story. This game offered a lot of variations in playing that made the game interesting throughout. A very satisfying experience. This game is very similar to the first game in the series, Golden Trails: The New Western Rush. Other than the story line, everything is similar in both games. 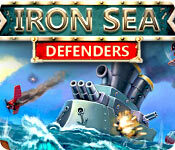 In this game a famous pirate's grandson tries to save his grandfather from being persecuted by a greedy rival. As you play the game you see pictures of hidden objects rather than a list. In each scene there is quite a bit to do, which adds to the fun. You get to shoot bandits that pop up suddenly, which is worth extra points. You also get to look for golden clovers. A message tells you if you've found all of them in each scene. If you can find 150 of them in the game, a secret part of the game becomes available. There are also twinkling "lost items" to find. You can earn trophies for different milestones or accomplishments in the game. There is also a large variety of mini-games to solve during and at the end of each scene. Also at the end of each section there is a shooting gallery, shooting at bandits while avoiding shooting at innocent people. If you earn 50,000 points the unlimited portion of the game opens. I really enjoyed this game and definitely recommend it. I LUV THIS GAME!!!! I PLAYED IT LIKE... 47MILLION TIMES!!!! Really enjoyed this game. About a "medium" hard. A lot of different areas to work through, but not enough to be frustrating. Shooting the bandits is a hoot (for hints). About 40 different trophies. I didn't understand about all the trophies at first, so I missed a bunch!! But the game can be played again of course and you have the choice of taking your score and trophies with you for the replay. So I'm going to do that until I get them all. Good value for your money. I spent two days on this one..........clovers near impossible to find. But shooting robbers gives you a good shot at the unlimited. Will play it again. I found the HOGs pretty difficult, lotta eye strain. Bought the other two. 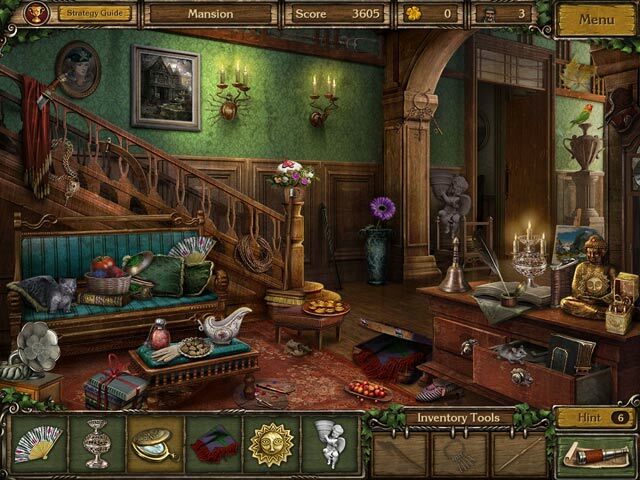 Outstanding Hidden Object game! A must buy! Thanks so much Big Fish for releasing yet another award-winning game. This game is much better than the first one. The collector's edition was amazing - it contained a ton of material, and the bonus ending was worth it. 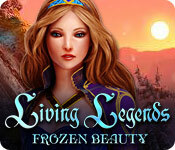 Great for anyone who wants to play a beautiful hidden object game filled with tons of stuff and adventure! This game had everything - everything that we have grown to expect with Collectors Edition games. The story line revolves round the fact that your grandfather had been arrested and accused of piracy and you have to find the missing ship's logbook and prove his innocence whilst having the adventure of a lifetime. The dialogue is appealing, with some reading and some voice overs between the various characters. The graphics are well defined clear and colourful. Most of the puzzles require some thought as they are rather challenging but interesting and give a sense af acheivement with a successful solution. The shooting of bandits is a pleasant distraction from the main game and bonus points (lucky Clovers) are awarded for your efforts. 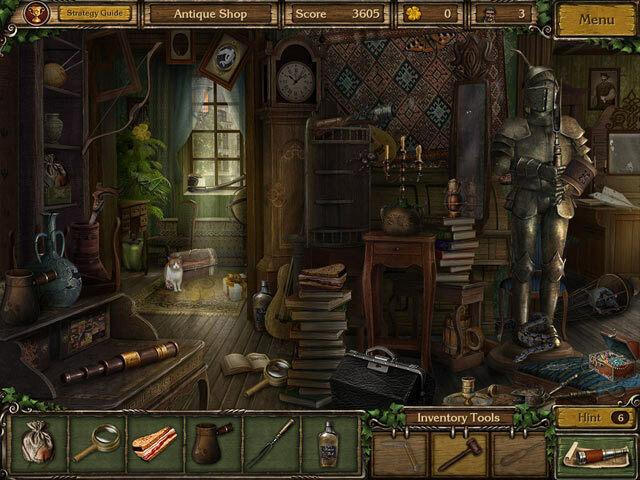 Most of the hidden objects are reasonably easy to locate and some need to be found in a different area but occasionally a hint is required for the well hidden objects. I ended up playing this game twice as I did not realise the first time that a number of lucky clovers needed to be collected to activate the bonus section, and I did not hve enough to qualify. Some of the lucky clovers are quite difficult to find. All in all a challenging, interesting and enthralling game. I thoroughly enjoyed it. This game will keep you "hooked". The rooms are exciting to play and there is a trophy room to check and see how well you are doing. You can even go back and challenge your ranking. When I only have a short time to play - this is the "go to" game.